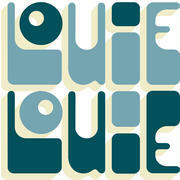 Louie Louie is an American bistro with French influence located in University City. Louie Louie is sister to Philadelphia staple White Dog Café. Louie Louie opened in July 2018 and has become quickly awarded as Eater Philly and Eater nationwide’s Most Beautiful Restaurant. It has also been recognized by Architectural Digest as the most beautiful bar in Pennsylvania.